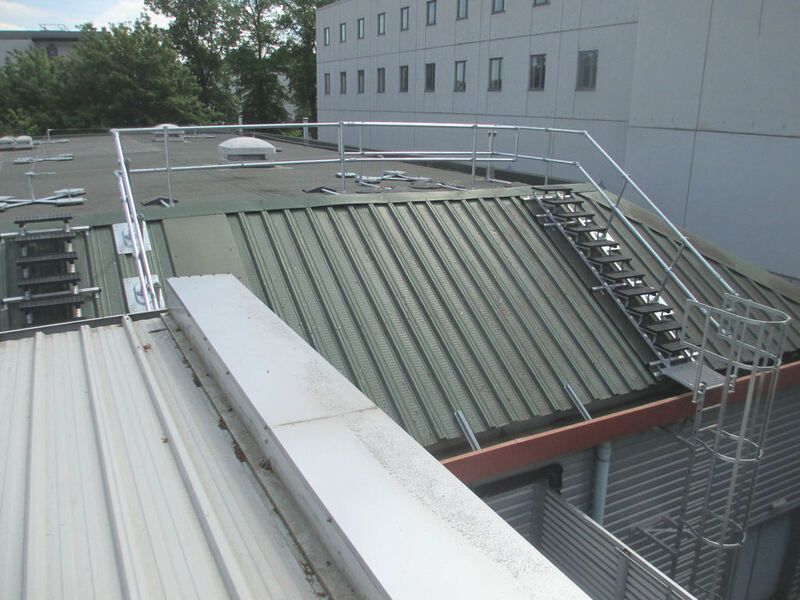 Safesite, a supplier of fall protection solutions, has provided Roehampton Sports and Fitness Centre with a collective roof edge protection system that ensures optimum roof top safety for maintenance and inspection teams. Roehampton Sports and Fitness Centre is managed by Places for People Leisure on behalf of Wandsworth Council. The building previously had no roof safety measures in place, with maintenance teams having to assess the flat roof via portable ladders to carry out inspection work. Due to previous experience with Safesite on another leisure centre within the borough, Wandsworth Council contacted the company directly. The brief was to conduct a site evaluation, provide a full design package, and install the specified system. Safesite recommended the installation of Kee Walk, KeeGuard, KeeGuard Topfix, Wireanka, and an access ladder. Kee Walk is a permanent roof top walkway solution for use on composite, trapezoidal metal profiles and standing seam roofs. Compatible with a range of roof membranes, including concrete, asphalt, PVC membrane, metal and felt, KeeGuard offers a free-standing roof edge protection system capable of keeping workers on the roof safe without endangering the roof membrane itself. KeeGuard Topfix provides a simple solution when collective protection is the preferred safety option for metal profile and standing seam roofs up to 45° pitch. The specially designed powder coated base plate, which incorporates multiple fixing centres, allows installation to a wide range of popular roofs. Wireanka is a system of deadweight anchor devices designed to support Class `C' horizontal, flexible safety lines to BS EN 795.